What’s the best gift Ranbir Kapoor received on his birthday??? Ranbir Kapoor celebrated his birthday on 28th September. The actor turned 36 on Friday. 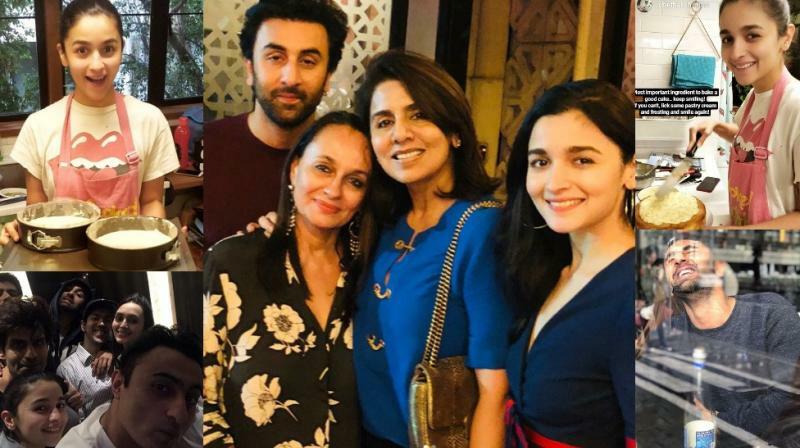 Ranbir had quite a good time with his mom Neetu Singh, his girlfriend Alia Bhatt and her mom Soni Razdan. Excited about the best gift? The best gift that Ranbir received is neither from Alia Bhatt nor any of his family members nor his friends? Then it is who I am talking about? It is none other than football legendary hero Lionel Messi. 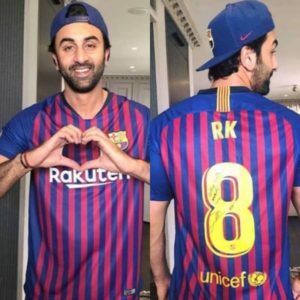 We all know Ranbir is a huge FC Barcelona fan. Ranbir received a jersey signed by one of the world’s best football players and Ranbir’s favorite, Lionel Messi. The jersey was sent by the club as a birthday gift to him. Ranbir’s initials “RK” are written on the back of the jersey. Although Ranbir is not on Instagram, his pictures of him in jersey are making rounds. 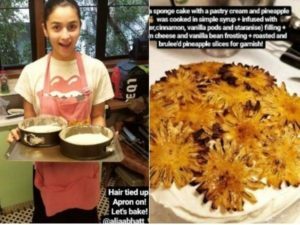 To everyone’s surprise, Alia turned baker and baked her boyfriend, Ranbir an exceptional birthday cake. She took help from chef Harsh Dixit and made a vanilla sponge cake with pineapple and pastry cream. The pictures were shared by chef on Instagram. Alia even wished Ranbir on Instagram and shared a picture of him captioning “Happy Birthday Sunshine”. The two are equally smitten by each other and give us some happening couple goals. Alia and Ranbir are currently filming for the movie Brahmastra in Bulgaria. The movie is directed by Ayan Mukerji and produced by Karan Johar. It is expected to release in 2019. After the failure of Jagga Jasoos in 2017, Ranbir’s career shot up with an exceptionally hit movie- Sanju, this year. On his birthday, Ranbir stepped out of his home to greet his fans. He was spotted wearing the same Barcelona jersey gifted by Messi paired with baggy pants, a pair of cool footwear and a matching cap. The fans delighted to see Ranbir, wished him and some of them gave him presents while others took a selfie with him.